These five short stories offer a selection of Dahl's adult writing. Parson's Pleasure is a country tale, A Piece of Cake, a wartime reminiscence, Lamb to the Slaughter a story of vengeful murder, and the remaining two, The Bookseller and The Butler, are on favorite themes of greed and snobbery. From the author of books such as James and the Giant Peach, Charlie and the Chocolate Factory, George's Marvellous Medicine, Fantastic Mr Fox, Matilda, The Witches and The BFG. "Lamb to the Slaughter" (1953) is a short story by Roald Dahl. It was initially rejected, along with four other stories, by The New Yorker, but was ultimately published in Harper's Magazine in September 1953. It was adapted for an episode of Alfred Hitchcock Presents and starred Barbara Bel Geddes. Originally broadcast on April 13, 1958, it was one of only 17 AHP episodes directed by Hitchcock himself. The story was subsequently adapted for Dahl's British TV series Tales of the Unexpected. Dahl included it in his short story compilation Someone Like You. 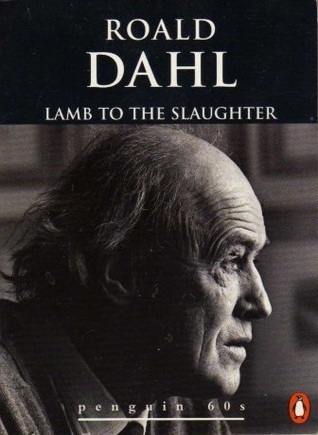 "Lamb to the Slaughter" demonstrates Dahl's fascination with horror (with elements of black comedy), a theme that would influence both his in adult fiction as well as his children stories. NOTE: I have only read Lamb to the Slaughter from below link so I would not be able to review on the remaining 4 mentioned above. An unexpected, well written short story by Roald Dahl. I've only known him as a children's author, never expected he could do well in suspense! It was truly an engaging read, enjoyed every 3899 words. According to Wikipedia, it was even adapted as an episode of Alfred Hitchcock Presents!